We’re all about digital innovation. In fact, it goes without saying, the entire Slick Text team lives and breathes progress. Because of that, we love working with ecommerce retailers, as they understand the power of forward moving product development. If you’re an ecommerce retailer, you have a huge opportunity to grow your online store and engage with your loyal shoppers. 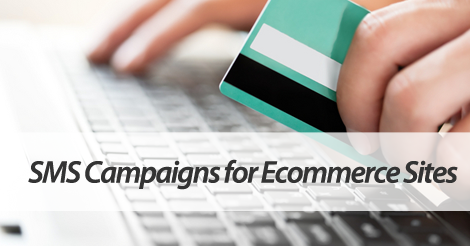 Here’s three of our favorite SMS marketing campaigns for ecommerce retailers. The possibilities are endless, but if you’re just starting out, these will kickstart your list growth and offer redemption. Seriously, everybody loves free shipping. There isn’t one online shopper out there who would turn down this irresistible offer. Fire out this promo via SMS. Remember, don’t simply duplicate offers. Instead, make sure you’re providing VIP value to your list subscribers. We’re all about growing your marketing web of communication, especially on a digital front. With that said, you can easily use text marketing to grow your email list. Once those emails are captured, you can use our integration feature to add those addresses right to your email marketing list. Reward your customers for their long term loyalty. Fire out exclusive offers one month out, three months out, and so on. Our drip marketing campaign feature allows you to regularly touch base with loyal shoppers, and give them an incentive to stay connected. Long story short, we want to help you create effective SMS marketing campaigns. Partner up with top SMS marketing provider, SlickText.com. We’ve created a feature rich platform that empowers even the newest business owners to experience results. Our educational resources can take you from newbie to pro. Remember the time you spend educating yourself directly reflects your SMS marketing success. If you ignore our helpful resources, you won’t get the maximum return on your investment.